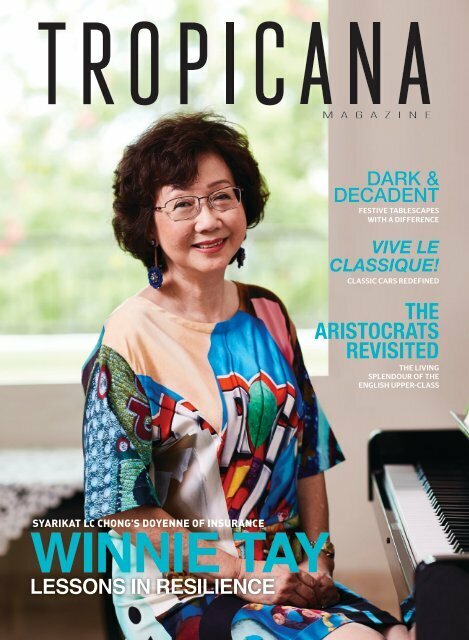 PROPERTY NEWS TROPICANA WINS BIG AND FITNESS FUN THIS ISSUE Prestigious. Award-winning. Quality. Innovative. High capital appreciation. These are just some of the signatures of the property projects undertaken by Tropicana Corporation Berhad. The following pages showcase some novel and stunning residential and commercial developments as further testament to the organisation’s flair in this industry. Tropicana Corporation hopes to create a more compassionate and supportive community, especially within its circles of influence. As a responsible developer, Tropicana Corporation continues to deliver on its responsibility to give back to society by supporting various charitable causes and participating in celebrations and community events.